While you might be tempted to jump in your new SUV or truck and head off-road to enjoy some mudding, that isn’t always the best idea. Without the right equipment and truck accessories, you could find yourself stuck in some less-than-hospitable terrain, or dealing with damage to your new vehicle that could have easily been avoided with just a few important pieces of gear. 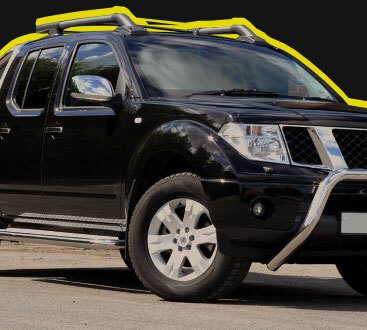 Call Safari Truck & SUV Accessories to find out how we can outfit your vehicle before you go off-roading! 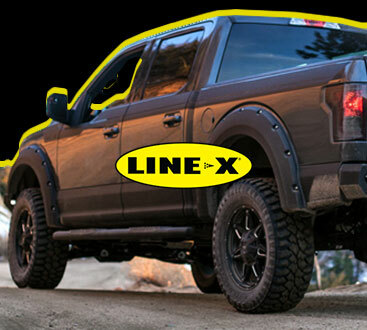 We are an authorized LINE-X dealer and installer, and we carry a wide range of high-quality truck accessories that will make your daily driving and your off-roading adventures a lot more fun, and a lot less damaging to your SUV or truck. While a LINE-X bed liner is a great way to protect the bed of your truck, the LINE-X formula can be applied to almost surface on your SUV or truck. If you are going to be off-roading, it might be a good idea to protect the lower parts of your doors from scratches caused by branches and other hazards. A coat of LINE-X on your bumper can help save you from the sadness caused by scratched up paint, and protecting the inside of your wheel wells is a good way of keeping moisture and dirt away from all of the components in that area. LINE-X is available in several different colors and carries a lifetime warranty, so there is really no reason not to protect your vehicle! If you are heading out into the wilderness to camp and you have to go through some wet and muddy terrain, you’ll be thankful for a tonneau cover. Not only will one of these covers protect your gear from getting caked in mud, they are a great way to protect anything you want to keep in your truck day-to-day from the weather and break-ins. We carry a range of tonneau covers made from a variety of materials that are built for your specific truck, so reach out to us to find out what your options are. There are even options that come in different colors so you can match your paint or use the tonneau cover as an accent in a different color. 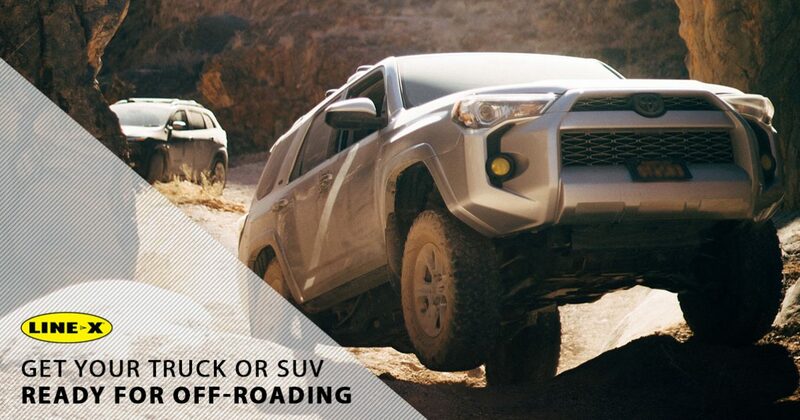 Branches, rocks, and other hazards abound when you’re off-roading. In order to prevent your bumper from getting scratched up or having your headlights busted out, a grille guard or brush guard is absolutely necessary. In case you get stuck somewhere, they also provide another tow point. For a free estimate on a LINE-X bed liner or any other truck accessories, call us or stop by our shop today! We are always happy to discuss the best ways that we can help you make your truck look and perform better, so get in touch with us. If you want to see some of the work that we have completed for other customers, check out our gallery page.